Regardless of the nature or severity of your injury, if you or a loved one was injured because of someone else's negligence, you have a right to seek financial compensation. Our office can help. Call us for a Free Consultation at (423) 756-3700! Chris Markel has grown up in the Chattanooga area, and lived here with his family for most of his life. He concentrates his practice on courtroom representation of clients in civil litigation matters, including personal injury, wrongful death, worker's compensation, construction, contracts, and consumer and commercial debt collection. He represents clients as diverse as Fortune 500 companies and local small businesses to individuals living and working throughout the Hamilton County and southeast Tennessee areas. Mr. Markel also practices in various areas of military law, having served fourteen years in the United States Army Reserve as a JAGC Corps officer and attorney. 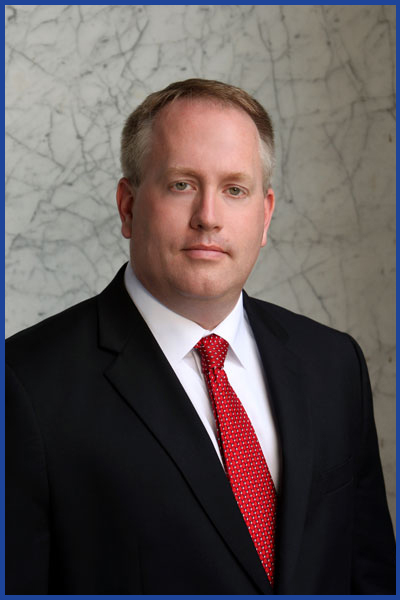 Mr. Markel received his Juris Doctorate degree from Cecil C. Humphreys School of Law at the University of Memphis in the year 2000, and is a graduate of the University of Tennessee at Chattanooga, with a Bachelor of Arts.